Hanson beat Mark Briscoe Jimmy Jacobs and Caprice Coleman in a Four Corner Survival in 8 minutes by pinning Coleman with a spin kick. Roderick Strong-Adam Page video package is shown. Roderick Strong beat Adam Page by referee stoppage in an excellent 12 minute match via Stronghold. Michael Elgin-Tommaso Ciampa video package interesting since this match was kind of just thrown together. 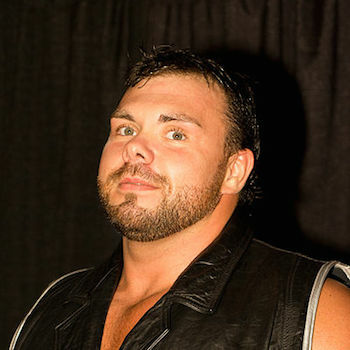 Unbreakable Michael Elgin pinned Tommaso Ciampa in 13 minutes with a high angle double arm DDT. During the bout Tommaso Ciampa accidentally clotheslined referee Paul Turner and Nigel McGuinness left ringside now not all that long ago Tommaso was put under a zero tolerance policy which stated if he touched any non wrestler in Ring of Honor he will be fired and that was brought up during this whole thing on commentary. The Young Bucks andA ACH beat Christopher Daniels Kazarian and Cedric Alexander in an excellent high flying match when ACH pinned Cedric with a 450 splash in 13 minutes. Moose pinned RD Evans with a spear. Veda Scott who did not accompany RD Evans to the ring during the match came out mid match, Nana and the former Ramone now Stokley Hathaway were being ejected when Veda got in the ring and turned on RD Evans allowing Moose to win the match. Jay Lethal-Matt Sydal video package. ROH TV Champion Jay Lethal pinned Matt Sydal with LETHAL INJECTION. ROH Tag Team Champions Bobby Fish and Kyle O'Reilly (reDRagon) beat KUSHIDA and Alex Shelley in an excellent 17 minute match - KUSHIDA kicked out of Chasing The Dragon, then O'Reilly hooked the cross-arm breaker as well as the near leg for the tap. Jay Briscoe-Adam Cole video package. ROH World Champion Jay Briscoe beat Adam Cole in a Fight without Honor after a Jay Driller to retain the title. Great show overall a better overall card then Best in the World in June and ROH returns to PPV on March 1st from Las Vegas with the 13th Anniversary Show.